Find out more about the course here! I am thrilled to announce to you all that we have Launched the FIRST EVER POSTPARTUM COURSE! Never before has there been a Christian Postpartum Course made! As many of you know, my heartstring for moms runs deep. Since becoming a mother myself 18-years-ago God has continued to grow a heart of ministry for women inside my soul. And it was my desire to obey the Lord in His call on my life when I wrote Redeeming Childbirth: Experiencing His Presence in Pregnancy, Labor, Childbirth, and Beyond which is a topical Biblical study of what God’s word says about such things as PAIN, IDOLS, and SANCTIFICATION in motherhood as well as sharing examples through testimonies of what it can look like to invite God back into this season in a woman’s life that SO many compartmentalize, leaving God out of. 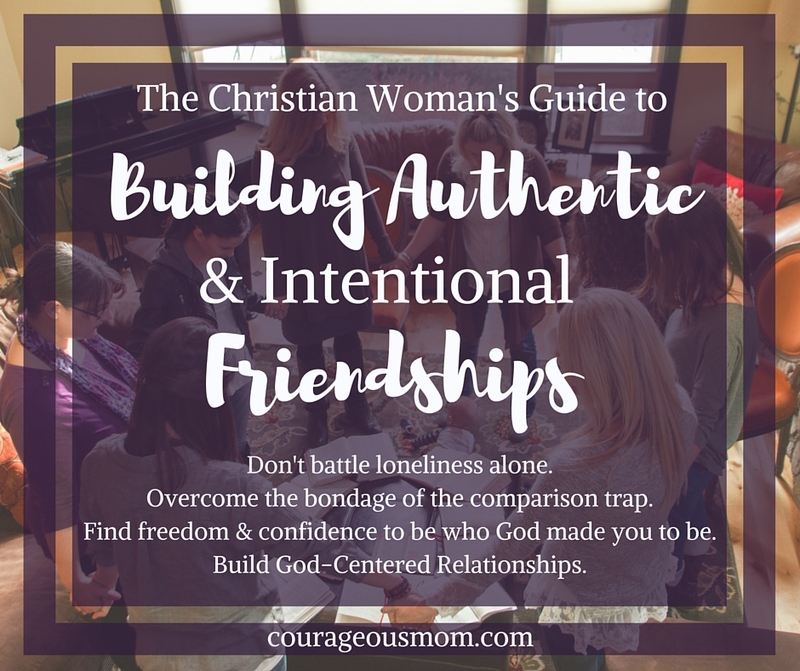 Since writing Redeeming Childbirth and the Birth Planning Guide, I have also written a robust Bible study for women on Friendships, which around 1,573 women have gone through and it specifically teaches on The Quiet Fight Between Women and the Comparison Trap in light of our Identity in Christ, which we call The Christian Woman’s Guide to Building Authentic Friendships. Then the Lord lead me to write my first Parenting Course, The 11 Day Challenge to Encourage the Courageous Mom in You, which has encouraged and helped over 2300 moms worldwide! Through all these adventures and journeys, one main theme keeps popping up in my heart, to help encourage and exhort my younger sisters in this journey of motherhood to view every aspect of the journey of young motherhood biblically, from a perspective of wanting to grow, learn, invite God to join them, and to bring Him glory in the journey by living their lives in a manner that shines Jesus to the World. This was WHY I first wrote about pregnancy and childbirth. This season in a woman’s life IS her Motherhood Bootcamp! However, so is postpartum. Unfortunately, many women are not willing to talk about postpartum and those who do, are shining God’s glory in ministering to their sisters in humanity through sharing what God has taught them, but many times they either cannot offer Biblical insight ALONG WITH PRACTICAL TEACHING THAT HELPS or they are not offering that teaching from a Biblical perspective at all. Because of this gap in ministry and education, along with the fact that I have been pouring myself out like a drink offering to our community regarding caring for women in this season of life, I have created a course that will teach both practical tips for healing through postpartum discomforts, along with teaching on this season from a biblical perspective and study, and I even pulled my husband into doing a video on INTIMACY during pregnancy and postpartum for couples to watch. I cannot urge you enough to get this course and go through it. Even if you are done having babies! As Titus 2 Women, we are called to minister to one another and teach the younger women how to “love their husband, love their children, and be busy in the home”! Women cannot do those basic things if they are suffering spiritually, physically, and emotionally! Imagine how different the stats would be in America if community started acting like it is supposed to, where older women and sisters in Christ running the race alongside one another were actually serving and loving one another?! So, will you join me? Will you join me in this effort to educate, exhort, and encourage women to view postpartum biblically and know what to expect? Right now, we are offering a PRE-LAUNCH SALE! Wife to Isaac for 19 years, Homeschool Mom to 8 kids, and LOVES a good cup of coffee. She is passionate about empowering women to rise up and be courageous as they raise the next generation for God's glory. She is a birth doula, the author of Redeeming Childbirth, the Creator of the Christian Postpartum Course, Biblical Friendships Online Bible Study, and is the Co-Host and Co-Founder of The Courageous Parenting Podcast and Mentor Program. Welcome! I am so glad you are here. My name is Angie Tolpin. I have been a wife and mom for over 19 years and have been following Christ for most of my life. I love teaching from the Word of God and encouraging my Sisters in Christ to embrace the season of life God has placed them in. I specifically teach on Marriage, Motherhood, and Mentoring; the Titus 2 Call. I have written and taught many Bible studies, a Christian Postpartum Course, and hope that if you are pregnant you will read my books. My husband and I run a parenting ministry with a podcast at CourageousParenting.com as well. You can learn more about me here. Also Join My Private Text Message Community? Yes I want to Join!!! This is a community where I send out an encouraging text right to your phone about once a week.